aftermath, American, Baghdad, destruction, editorial, editorial cartoon, infrastructure, Iraq, Iraq war, key, king, life, pizza, political system, Starbucks, system, war, war zone, water, zone. Search Kirk Anderson's Editorial Cartoons using keywords and more! 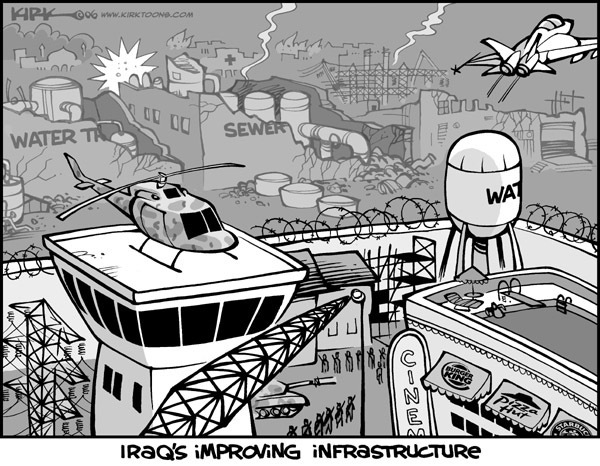 Access Kirk Anderson's Editorial Cartoons by alphabetical subject.